I remember back in 2011, before my first summer at camp, I was just purely excited about what was to come until about a week before my departure date, when all of a sudden I got really nervous and had so many questions about my camp and what I would be doing all summer. For those of you that are already at camp, I hope it’s going amazingly, and for those of you that will be heading to America over the next few days, here’s a few tips that might help to calm those nerves! 1. Go on your camp’s website & social media. In fact, don’t just go on the website, but totally exhaust it. Read absolutely everything you can about the place where you’re going to be spending your summer, even the stuff that doesn’t really seem to apply to you… all information about your camp is good information to have! Then go check out all their social media accounts too – find out if they’ve got a Youtube channel and watch all the videos they’ve ever made! Knowing what the place that you’re going is like and seeing photos and videos of it is going to put you at ease more than you can imagine and it’ll mean that it won’t all be a big surprise to you when you get there, so you can just relax and enjoy it. 2. 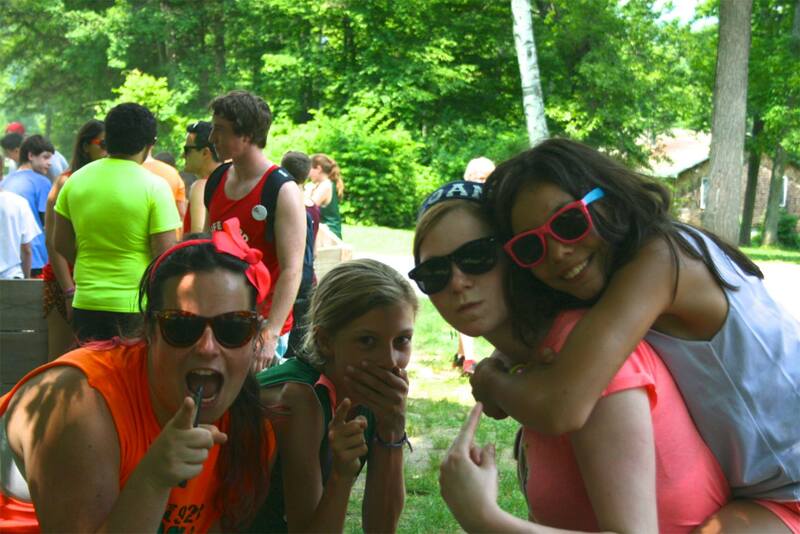 Join your camp’s staff group on Facebook. OK, not every camp will have one, but I’m pretty sure most do – it’s a great way to give info to everyone at once. Use the group to find people who might be travelling to camp on the same day as you and ask as many questions as you like… use the returning staff as a resource – they can probably answer every single one of your questions! 3. Read up on how you’re going to get to camp. Finding your own way to camp can seem a little scary, but your camp will provide you with detailed instructions on how it’s all going to work once you arrive in America. Read those instructions, look up some maps, keep a note of train or bus timetables and just get mentally prepared for your journey! 4. Find other people who have worked at summer camp and ask them a bajillion questions. You can do this either through your camp’s facebook group (see number 2), or perhaps you know someone who has been to camp before. Some of the agencies even have forums where you can ask as many questions as you like! But honestly, one of the best ways to put your mind at ease is to get answers to all the little questions you have running around your mind. 5. Do a practice pack to make sure you’ve got absolutely everything you need. I’m one of those weird people that actually likes packing – it always makes me really excited for my travels! If this is your first time going to camp it might help your nerves if you do a little practice pack so that you can see what fit and what doesn’t and maybe adjust your packing list slightly and then when it comes to packing for real, you’ll be done in no time! 6. Have some ideas for lessons and games before you get there (either in your head or write it all down in a notebook you’ve bought especially for camp). One thing that will make you feel more relaxed about the whole thing is if you feel prepared. And getting some lesson plan ideas down on paper is a great start. I’ve outlined how to write a lesson plan here, and you can find a whole heap of fun ideas for games and activities here too. 7. Breathe. It’s all going to fine. In fact it’s going to be more than fine. It’s going to be AMAZING. I promise.